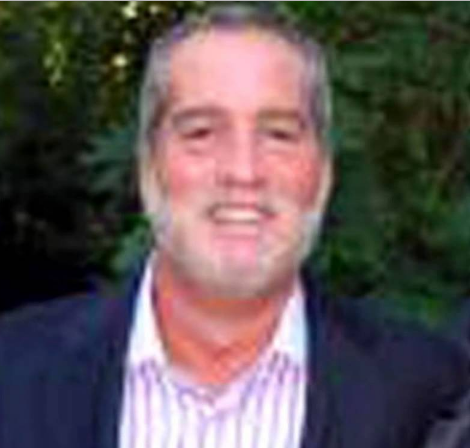 Scott Nordheimer is responsible for overseeing Urban Atlantic’s new business development. Since Urban’s formation in 1998, Mr. Nordheimer has been responsible for over $5Billion of Development and Investment Origination. In addition, he has been responsible for Public, Private Partner relationships as well as Community Stakeholders. Mr. Nordheimer has been on the Companies Strategic Planning Committee involved with all of the various business platforms at Urban Atlantic. Mr. Nordheimer has been an innovator in the field of Public Private finance. He was a pioneer in the first generation of Mixed Finance through the US Department of Housing and Urban Development (HUD). As a Key Member of the Urban Atlantic Team, he has been instrumental in the creation of new business ventures, including HUD Hope VI, Transit Redevelopment, BRAC Redevelopment, Low Income Housing Preservation, Workforce For Sale, Pilot, TIF financing, EB5 and Energy Finance. highly sought after speaker on a national level on innovative solutions to finance complex developments. President Clinton appointed Mr.Nordheimer to the White House Commission on Best Urban Practices. He served 1996-2001. In 2012 President Clinton recognized Mr.Nordheimer at CCG America for his commitment to Changing Urban Cities. In 2012 the Mayor of Washington DC Vincent Gray appointed Mr. Nordheimer to a Commission to design the Five Year Strategic Plan for Housing in Washington DC. On June 29, 2017, Mr. Nordheimer has been named to serve on the Board of Prince George’s County, Md. Commission to develop a Comprehensive Housing Strategy. Mr. Nordheimer is a Board Member of the Washington DC Economic Partnership since 2011. Over the past. 25 year, Mr. Nordheimer has been involved in many Community Initiatives primarily in challenged communities. He has been a leader in Community Stakeholder initiatives such as Economic Development, Job Training, Minority Participation and Minority Job Hiring. Mr.Nordheimer was recognized in 2003 as Honoree, by the Washington DC Minority Coalition for his contribution of the Advancement of Minority Participation. Mr. Nordheimer’s career started with the Foundation for Cooperative Housing, where he was responsible for the development of low-income Housing Cooperatives. Over the following decades before joining Urban Atlantic, he ran a Development and Investment Real Estate Company that developed over 11,000 Condominium units and held investments in 3,000 apartment units, five hotels and 600,000 of commercial office. He holds a BA in Political Science from Parsons and is a former instructor of Real Estate at the Harvard School of Business. We would like to thank the Crisis Consultant Group LLC for training our staff in cpi classes which we find to be crucial in maintaining a safe work environment. 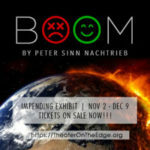 We are proud to support the upcoming theatrical production of “Boom”, voted exciting plays in Orlando Florida.